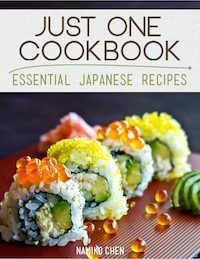 After working hard for the past several months, I’m extremely happy to announce that my first eBook, Just One Cookbook – Essential Japanese Recipes is here! However, with the increasing requests for a cookbook, you’ve convinced me! 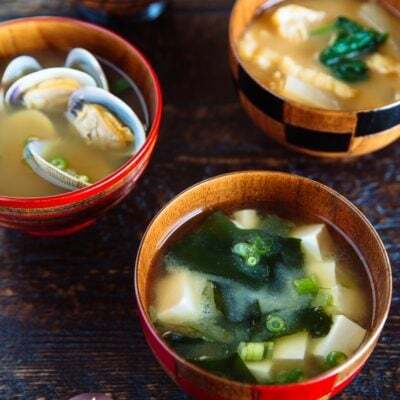 I realized many of my readers are interested in cooking Japanese food, but when you come to my site it’s not very clear where to start. So I’ve selected 33 easy and simple recipes that my family, JOC readers, and I love most from Just One Cookbook. I hope you love each part of the designs in this eCookbook as much as I do. I worked very closely with my designer, Divya of Divya Yadava – Food Photographer + Culinary Consultant to create this cookbook. She was able to capture my abstract ideas and images and incorporate them into the designs as if she was reading my mind! It was such a pleasure working with her. If you are interested, you can join our affiliate program and sign up here. Before you buy this eCookbook, please read below. 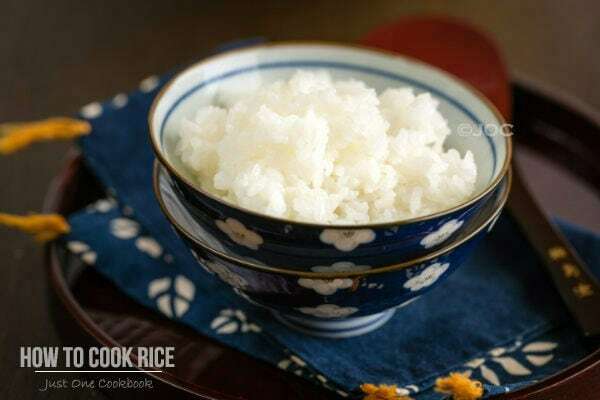 you want to cook Japanese food at home, but you are not sure which recipes are simple and easy to cook. you know someone who loves Japanese food and would love to give the person this eCookbook as a gift. you want to save this eCookbook on your iPhone/iPad/iPod for easy access. I’m donating 20% of proceeds to charity. 20% of proceeds will go to charity. Every month I will pick a charity to donate. The rest of the proceeds will go towards maintaining all of the free content on JustOneCookbook.com. Please see below for our past donation records. 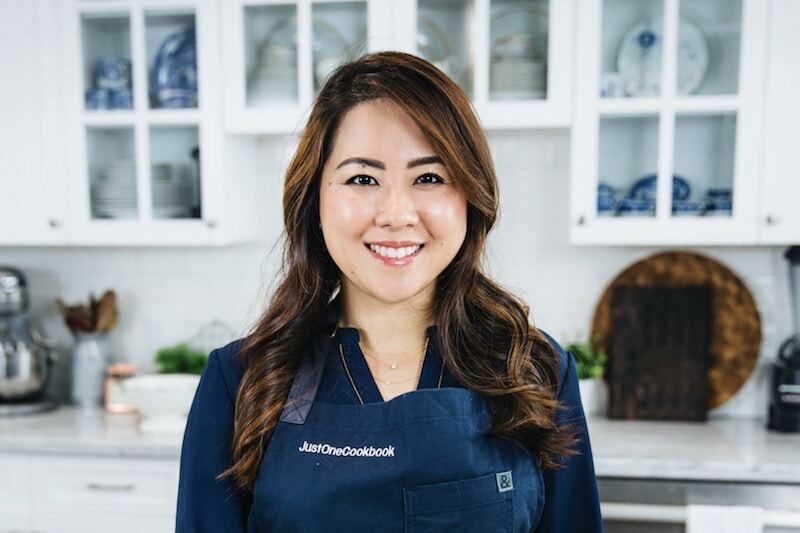 GET THE JUST ONE COOKBOOK E-BOOK NOW! 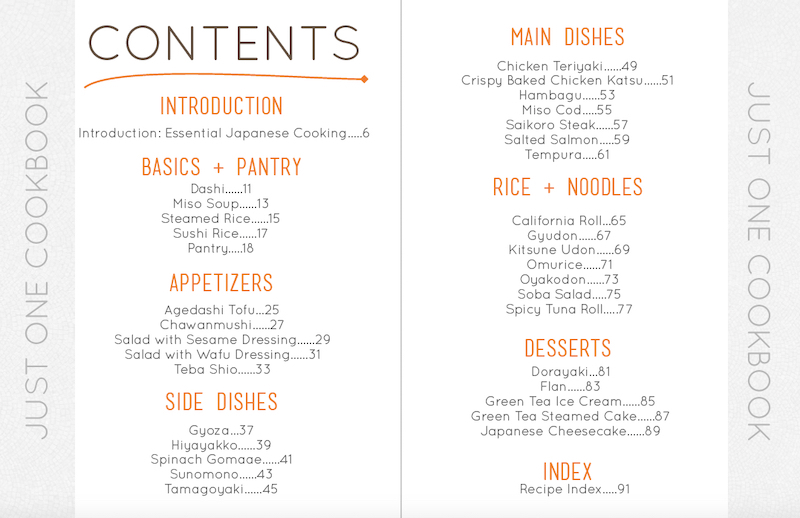 Because Just One Cookbook – Essential Japanese Recipes is a digital eBook, there are no returns and no refunds. Congratulation for your new & first cookbook! congratulations Nami!! Very good news. I had such a fascinating time in Japan – even saw the BR you hand out in!! Just loved Japan – fascinating and at times challenging!! Brilliant food, too! Congrats! You’re truly an inspiring entrepreneur! 🙂 I will sure to check out your e-book. Congratulations!!! I adore Japanese food, and your website has been a blessing, and so much fun too. 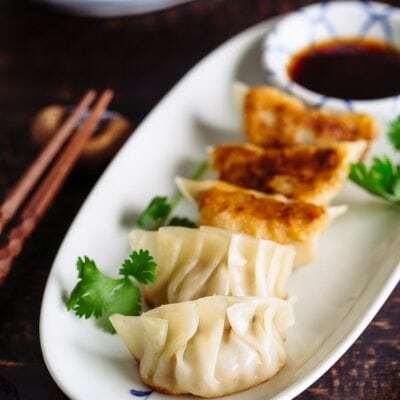 I am like a student of this cuisine – soaking up the info, making myself familiar with the names – some of them still very difficult and I get confused easily – but it’s getting better. Once, long ago, I told you that if you ever wrote a cookbook, I will be the first one to buy. I don’t know if I am the first one, but I have bought it, and I already love what’s in there. I am yet to go through it all, but I love the pantry basics. Can I send it to my kindle? Congratulations Nami! My family loved your recipes and everything to do with Japanese food! Take care from my family to yours…. Congratz, Nami! You are amazing and such an inspiring person. Nami, thank you so much for your offers to help… I think I have it figured it out now. 😉 Also, I’m truly enjoying delving into your cookbook. I’m glad I have my own copy! Congratulations, Nami! It looks beautiful. By now, your blog is an indispensable resource in my kitchen… even though I grew up with Japanese food I consult it regularly for cooking times and inspiration. And I so admire your decision to donate 20 percent to Samaritan’s Purse. Wishing you the best this holiday. Hi Kate! Thank you so much for your kind words – you’re too sweet. 🙂 Wishing you a happy holiday as well! YAY!!! I knew you would finally put an ebook together! So happy for you and can’t wait to read it! FYI – I tried to get your e-book on iBook, but did not see it listed. Love your recipes and look forward to seeing the collection! Congratulations, this looks great. How lovely to give some of the money to charity too. Congrats on the eBook! I was wondering how long it’d take you to produce your own book. 😉 Hope you sell a ton! Congratulations my dear! What a beautiful way to share your family recipes. I can’t wait to download it. CHEERS to this book and more. Woohoo!!! Congrats! I’ll spread the word!! Congrats on your first e-cookbook Nami! The design looks very pretty. Congratulations Nami! This is so terrific. Thank you for sharing your recipes with all of us and donating some of the proceeds to charity. Congratulations Nami and I wish you much success! This book is going to help so many people, me included. I am so proud of you Nami! 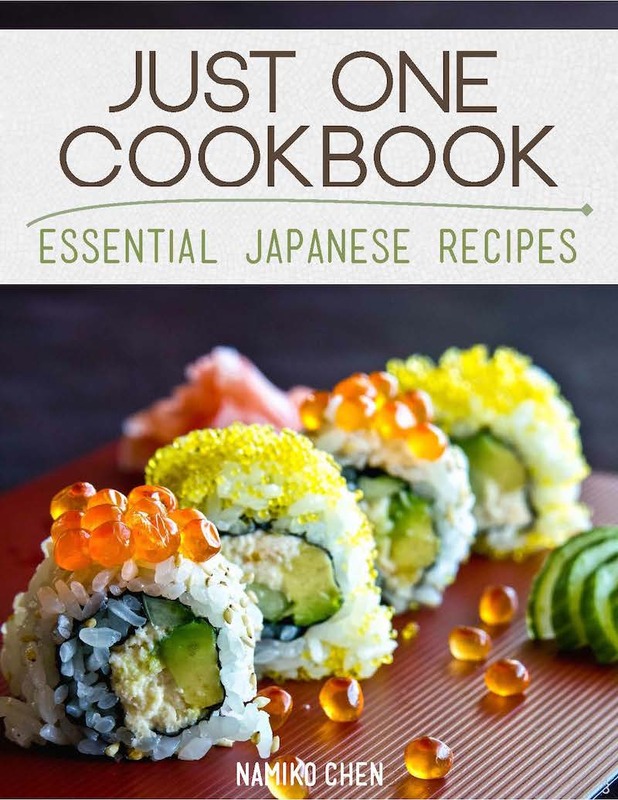 Ebook by Just one cookbook…finally is out! Awesome! Congrats and I wish you much success! I know how much work you put into it, so rest and relax now! Nami this is so exciting and Divya does beautiful work. I haven’t seen her on since her mom passed away. So glad to see she’s doing something. I will definitely buy your ebook, just because it’s you and I know your recipes are all wonderful. Best of luck to you. I’m so happy for you Nami… its finally here!!! I know it’s loads n loads of hard work but so totally worth it..
Hooray! Congratulations on your first cookbook! Congratulations, Nami! I’m definitely interested and will check it out soon. Congratulations!! Your recipes are always clear and easy to follow! Congrats Nami! Wow, you have been keeping busy these last few months. 🙂 The ebook looks amazing! Congratulations Nami! So so happy for you, this is an absolute must have! Thank you so much for your kind words, Gintare! I am so happy for you, Nami! Congrats on your first ebook. Wishing you success on this and much more… In addition, how noble of you to donate part of the funds to a different charity every single month! 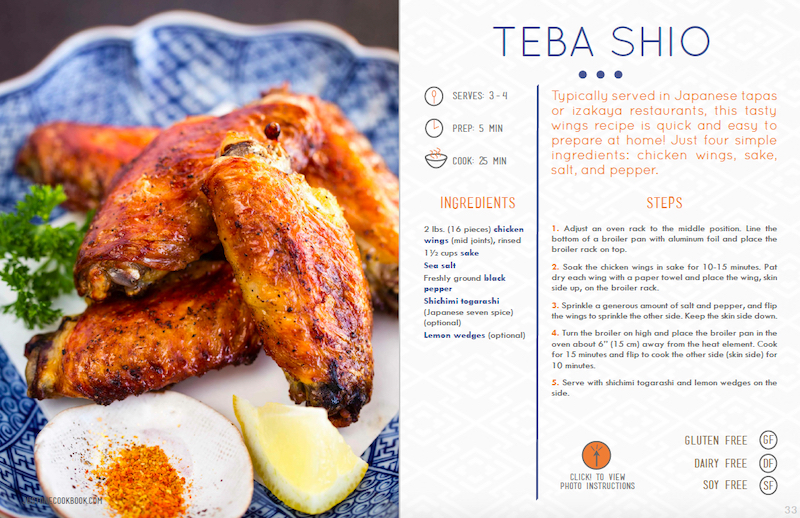 This recipe book is looking so appetizing and beautiful.Thanks for sharing awesome recipes! Congratulations on the publication! Hopefully the first of many more to come. =) It’s so very sweet of you to also be donating some of the proceeds to charity. Wishing you continued success as you share your food with the world! congrats on the book. I have been thinking about doing something like that too but havent had the time yet. so thoughtful of you to donate as well. Congrats, Nami! How wonderful for you. I love this idea. I will be buying a copy for sure. Thank you for generously sharing part of your proceeds for the Philippine Typhoon Relief. Bless your kind heart 🙂 More power and best of luck on this exciting new project! Congratulations! That is so exciting and what a nice layout. Can’t wait to see future books! Congratulations, Nami! The book looks gorgeous; can’t wait to check it out. This is what I told you before, you deserved to come out with your own cookbook. I was looking for a hardcopy of your cookbook, but time being I will purchase your ecookbook. Congrats again Nami! CONGRATS Nami! I’m sure this won’t be the last ebook or cookbook that you will be releasing! I’m getting this for my mom as a tiny Xmas gift, and I’m sure she will be delighted with it, seeing how she loves your blog and comes here whenever she feels like making anything Japanese! Thank you so much for your kind words Janine! I hope your mom enjoys it. 🙂 Thank you once again! 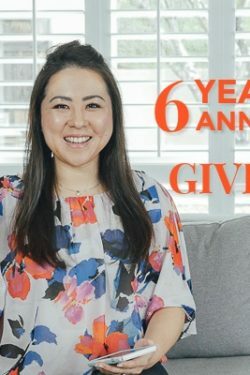 Nami, you are so wonderful – I just showed this post to my husband and we both think that this is such a fabulous thing, an eBook with all the favorite recipes from your blog! It does make a lot of sense putting the favorites together in one place. You must have spent so much time on this wonderful project! I had been thinking about putting the recipes for the German Christmas cookies together but somehow I did not find enough time or energy. I also wanted to take the opportunity to thank you for your mail with the advice about taking those pictures! Thank you very much! And then, last but not least, the very best whishes for a HUGE success with your first publication!!! You deserve it so much!!! Oh yes… it took a lot of my time – my husband even said “I feel like I’m a single Dad” when I was working on this project but he was very supportive! If you don’t try to do it in a short time like I did, it’s manageable. Also my English is horrible that I had to edit sooooooooooooooooo many times. I thought it’s done, then find more and more errors every time I proof read… After I decided this was last time, I didn’t want to even look at the book as I was scared I’d find more errors (it is really minor errors like spacing, a choice of words in sentences, not affecting recipes). I was aiming for perfect – no errors. LOL. But I know there are some errors… I just don’t know! Haha. Thank you so much for your very kind words!!! Nami, congratulations! This is really exciting! I’ll definitely have to check out the book soon! Thank you so much Dedy! I’d love to see yours. I already know it’s going to be an amazing book! Nami, congratulations, wow! You’ve inspired so many to try out Japanese food when, like me, it has always seemed so intimidating. 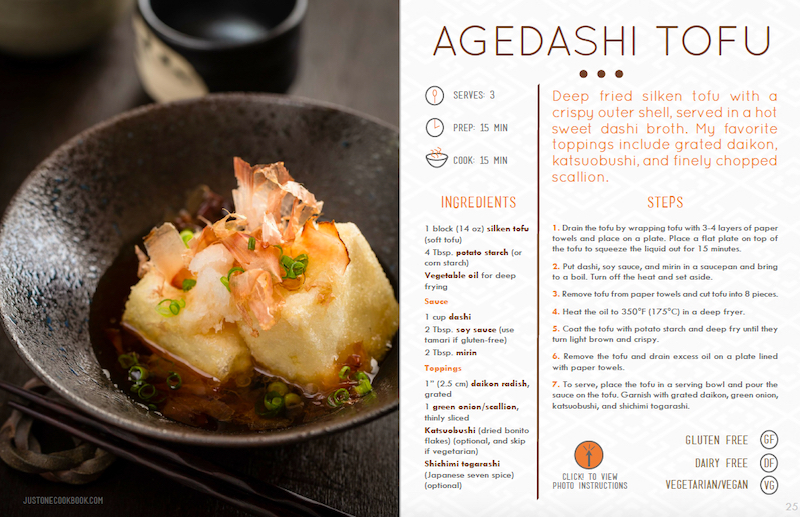 I love that you used agedashi tofu as an example in your book–it’s one of my favorite Japanese dishes. Well done and it’s so generous of you to set aside a portion of your proceeds to charity. Well done! congratulations nami for the cookbook. I purchased the cookbook, and was wondering how does it get to me once purchased from pay pal? Hi Lorri, I just paid via pay pal. Clicked the “BUY NOW” above and then checkout the order. After paying, there was a button “Complete purchase” then it counted down to get to a page then I got the link that I clicked then it downloaded to my computer. Lorely, thank you so much for helping! I think her issue was regarding different email address. I really appreciate you took extra time to help out. THANK YOU!! Lorri, I hope you received my email earlier today that the eBook link should be sent to the paypal email, not your email (seems it’s different account). 🙂 Let me know if you have any further issue. Thank you so much for purchasing! Nice! Do you have plan to publish a paper book? Congratulations on your first eBook, Nami!!!! 🙂 Thank you for helping the Philippines! Congrats on your new cookbook, Nami! Congratulations! This is so awesome. Will definitely check out your book. Wishing you more and more success. Congratulations Nami! I hope your book will have a big success and your recipes to travel all around the world! Congratulations Nami!!! You are a very busy lady!!! Your blog would be enough for me but now you have a new company and an e-book!!! Have you ever heard of sleeping? 🙂 This is wonderful! The best of luck to you Darlin! Thank you so much MJ! Yeah toward the end of year I got really busy (and crazy) doing multiple projects. I think I’m nuts. I definitely haven’t heard of sleeping or beauty sleep or “weekend”! 😉 I got so much white hair because of lack of sleep! hehee. Thank you for your sweet words, MJ! Congratulations on your e book! Congratulations on your cookbook! I love, love, love Japanese food, but have always been nervous to try to make it at home. Your recipes make it feel much more approachable. Can’t wait to get this and try some of the recipes! Wishing you much success!! Congratulations! Love your first e-book. It would be handy to download it into my iPad and check on what to cook when I need it. Simply wonderful! Thanks! I love that you have an E-cookbook and even better, you’re donating part of the proceeds to the Philippines’ typhoon relief. Bless your kind heart, Nami. Sharing this with my friends! I knew you would do it one day!!!! Congratulations, Nami! I am sure the book is fascinating and I hope you will sell it by thousands! Hmmm… I must think if I have any English-speaking cooks in my family or among friends who are crazy for Japanese cuisine (I know your recipes almost by heart already 😉 ). Beautiful looking book! Great job, I am sure it will be very successful. Congratulations on your new e-book, it looks beautiful! Congratulations, Nami! Your ebook looks gorgeous. I love the layout and, of course, the content as well. Wishing you the great success! This cookbook looks so incredible!! Congrats to you! How exciting, it looks beautiful! great enjoyment. Thank you for all your hard work and wonderful, tasty recipes. I’ll be looking for another e-book to come in the future. Have a wonderful holiday! Sallie! Thank you so much for your sweet comment! I’m so happy to hear that you enjoy my recipes and thank you for trying them! 🙂 Happy Holidays to you and your family! Congratulation Nami…!!! This is wonderful, now you own your own book, that is really great…!!! You have been very busy and it is paying off, congratulations! Thank you so much, Sandra! Happy New Year to you and your family! Congratulations Nami. I have also admired your styling and your easy to follow format of your website recipes. I’m interested in getting the e-book for my mother – can this pdf format be printable? I am wondering if you have the name of the fine sieve that is used in making kuri kinton and wagashi. It looks like a wooden steamer pot with a cylindrical bowl in the bottom and the cover is the sieve itself. I am looking for the Japanese name in romaji and a source. Mahalo (thanks) from a fan in Hawaii. Hi Albert! Is this something you are looking for? Yes, it is. Would you know of any American importers of the product? I have tried to look for it in our local Japanese markets – Marukai and Don Quixote , but no luck. BTW, you have a great aesthetic sense in your food photographs used to illustrate your dishes. Keep up the good work! Thank you so much for your kind compliments about my photography. I hope I can improve! congratulation nami sensei X) finally!! and thank you so much ‘coz your recipes really help me to cook Japanese cook. before i’ve always thought that Japanese cook was hard to cook. but with your recipes, it can be easy. Congratulations! I love your recipes because they don’t look too intimidating 🙂 Japanese food is my favorite cuisine so I love seeing your blog updates. First off, I love your recipes and a big THANK YOU for making me a better cook! I was just curious if you were ever going to publish a hard copy of your book? I’m a little old school when it comes to books and I don’t own a tablet. I would definitely purchase one and I’m sure many others would too. I seem to be late, but congratulations for the cookbook, Nami!! It looks awesome and your hard work seems to have paid off very well :)!! I am so happy for you and I wish you all the best for you and your family :)! Btw, can`t wait to dig in your blog posts and I`m sure I have so many things to catch up here! Congratulations dear Nami! This is so awesome. Just catching up with everything in the blogging world. So happy for your. I would like to have your cookbook. Nami, I ordered & paid for your cookdbook, several weeks ago. Have never received it, can someone please check into this. Have been anxiously awaiting delivery. Thank You. Hi Pat! Thank you for contacting me and purchasing my ebook! I’m not sure if you are aware but this is eCookbook and you should have received an email with the download link right after you purchased (it’s automatic process). Which email did you use to purchase? In my record, I cannot find THIS email address (that you used to comment). 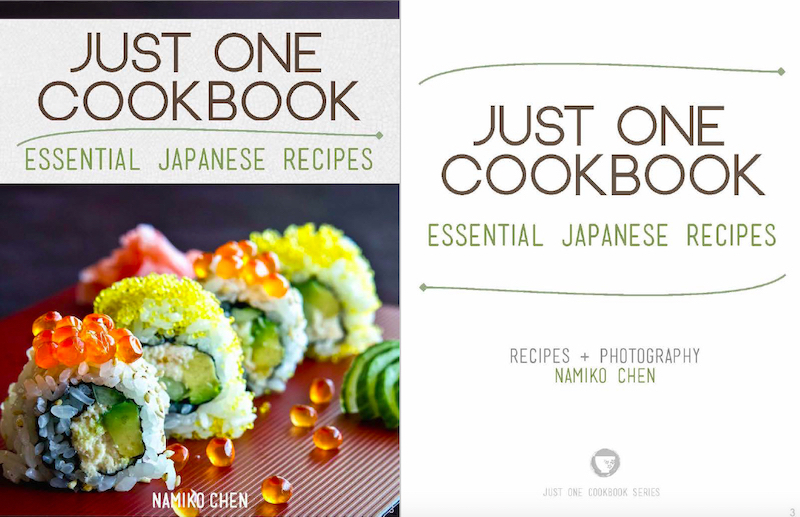 To discuss further, please send me email at nami @ justonecookbook.com. it yet. Can you tell me what the delay is. Hi Thelma! Thank you for contacting me. Yes, I see you have purchased on 4/17. I’m wondering if you received the email with download link. That email should have sent to your email address that you signed up immediately (It’s automatic)… For some reason, if you didn’t receive it, please let me know. I’ll manually send it. p.s. Just in case… this is an “eBook” and not an actual book that will ship to your address. I have not received e-mail with download link to eBook. Please send it manually to me. Thank you. Wow, so many exciting and good news since I last visited your blog, Nami. Don’t really know where to start but first of all congrats on your E-book!!! What a fantastic idea to collect all your recipes in one, easy at hand book. Love the new look of your blog too, it’s so much easier now to find the appropriate recipe and the design is dynamic and cool. 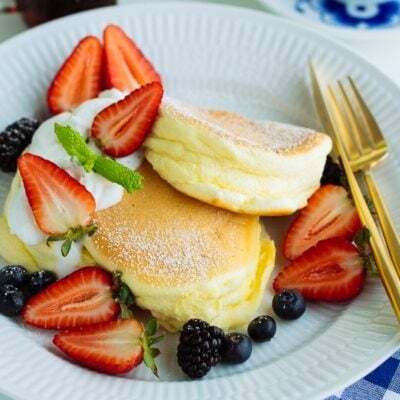 I would like to buy your ecookbook ( Essential Japanese Recipes). Hello! I LOVE your recipes and follow your blog regularly. My grandfather is learning about Japanese cooking and I would love to buy him a paper version of your book. Do you sell print cookbooks? My grandfather is not good enough with technology to use an e-version. I love this blog! Thank you for all your recipes and insight! Nami!!!! I am so blessed and delighted to know that you donate to charities. That is truly humble and sweet of you. 🙂 Also, I love Samaritan’s Purse and they truly do so much that many aren’t aware of–yet. Please keep them in your charity list for the long term, as you’ll be blessed in return, I’m sure! Like your blog so much! thanks for the sharing. I tried few of the recipes, my kids love it!. I want to give this to my mom because she will absolutely love this, however, she is older and does not use laptops or notebooks. She doesn’t even know how to use her smartphone lol. Am I allowed to print a copy just for her? What a lovely book with a great layout. Complements! I would like to have your E-Book. Thanks!!! I have just discovered your wonderful website for Japanese cooking. 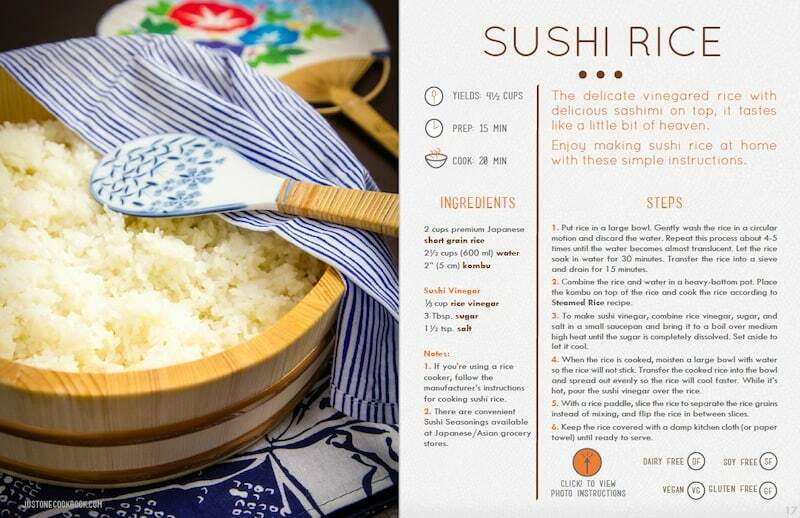 Your recipes look delicious and are just what I have been searching for – simple Japanese cooking! I am especially impressed with your easy way of explaining the different broths and other Japanese terms. It so happens I have an Asian market five minutes from my house but have never been there. Thanks to you and your recipes I will be going there this week. Thanks again for sharing your love of Japanese cooking; and Congratulations on your new ebook! Want to buy your Cook book, but not Pay Pal Where can I send the $$. Hi George! Thank you so much for your interest in purchasing my eBook. I use a third party to do the transaction; therefore the payment methods include credit card or Paypal. I’m sorry for the inconvenience. 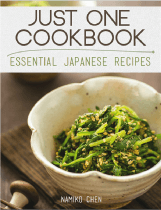 Thank you for the great website with all the beloved Japanese recipes and the e-book. You are absolutely marvellous and you have helped me make wonderful food that I miss so much. I lived in Japan many years and love the food. Thank you also for your advice, as I use your recipes regularly from this site, I shall buy your next book for sure. I already receive your newsletter. Keep up the good work! I hope you can come up with a new cookbook soon! 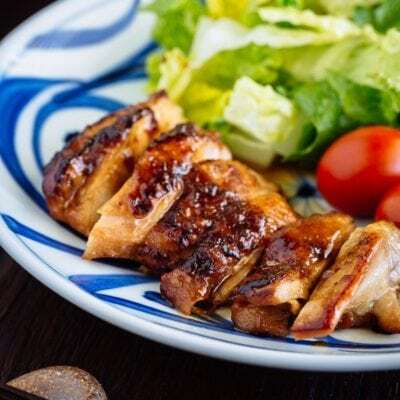 I’ve been following your site and cooking a lot of these recipes for my boyfriend for the past year (which he enjoys very much since he misses Japanese food from home). Unfortunately, I fall into the second category of people that I use many, many of your recipes. If I had a choice I’d love to buy some sort of app that presented your recipes in a structured format, as an ebook doesn’t allow for dynamic updating and any new recipes wouldn’t be included. Please guide how to make payment through Visa Credit Card.Because when i complete the Shopping Cart the option comes for PayPal account. Also the first entry is SELECT COUNTRY. when you click at this the list of countries appeared but PAKISTAN name is missing frpmthe list.Pl advise how to pay through VISA CREDIT CARD. Hi Ahmed! I’m sorry for my late response. I’ve been traveling in Japan and haven’t had a chance to go through all the emails… I apologize! I understand your situation. I’ll email you directly. 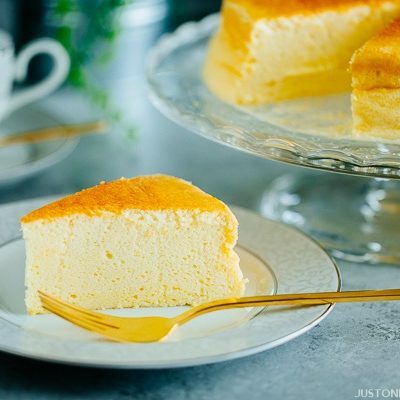 I love your simple and delicious recipes! The bowl on the e-book is gorgeous!. Thank you for sharing the recipes . Unfortunately, it’s e-book only. Some of my readers have printed them out but I don’t recommend to do that at home… so much ink! I know a lot of people requested for hard copy. Maybe one day! I would like to get a print copy of your one cook book for friends , could you tell me where can i buy it? I really like your recipes! Hi Janet! My cookbook is actually an e-book. It’s not sold at the stores and you can only view on the computer or ipad or iphone… etc. If you’re still interested, you can purchase from the link above (it says “buy now”). Thanks so much for your interest! 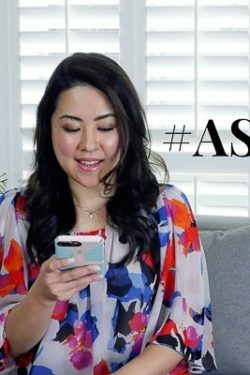 How would I give the ebook as a gift? I mean if I buy it now, could you delay the delivery to the email address until Christmas? Hi Janis! Thank you for considering purchasing my eBook as a gift! You can buy now and send the pdf file over to your friend via email on Christmas… Let me know (via email) if you have trouble downloading or locating the pdf file etc. I’ll be happy to assist you! I tried to purchase your cookbook but it would only let me pay with PayPal and I am no longer a member. There was no way to pay with my Visa Card. Do you have a vegan cookbook? I’m going back to Japan and I want to eat all the delicious foods without feeling guilty about katsuobushi, bonito, any meats or fish… especially since all the sauces and stuff have so many non vegan ingredients..
the purchase of your ebook enable printing? Thank you L.K.! The newsletter format has been the same for a long time and it has no “print” function in the newsletter. However, you can print out from the recipe box. If you see a recipe box in the post, there is a “Print” button. You don’t need to purchase an ebook, as it costs a lot to color print the ebook… Hope this helps. Let me know if you have trouble finding the print button. Thank you for yor prompt reply/help. I would love to buy your cookbook but want it in paper copy. Is Kindle the only version? Pls pulish a “real” cookbook soon! I would love to buy one!, and every single one after that! I’m not really comfortable with e-book though. Hi Lucy! Thank you so much for your interest in my cookbook! Hmmm maybe one day when I get good cookbook offer. 🙂 Thank you again! 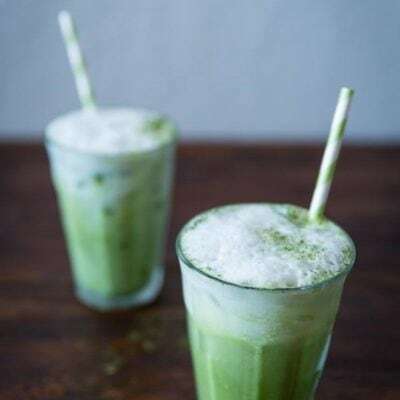 Hi there, I’m a newcomer to your blog and will like to take the time to explore and try out some recipes. First one to try is the chicken teriyaki recipe! Everything looks so interesting, it’s hard to know where to start. I do have a question though….do you use ordinary soya sauce in your recipes or must it be Japanese shoyu? Hi Anita! Welcome to my blog! 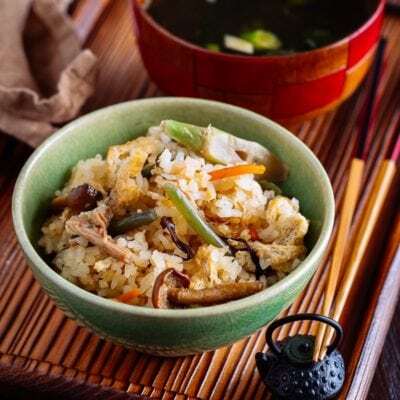 I hope you enjoy cooking Japanese recipes from my site. 🙂 For Japanese, Japanese soy sauce is regular soy sauce (we call “shoyu” in Japanese). This is the brand I use. Just returned from my first trip to Japan ~ so excited to find your website, I love it! Thank you so much ~ I was wondering if you know what the pan is called and where I might find it! the pan to make the rolled omelet.? HI Nancy! I hope you had a fantastic trip to Japan! It’s called Tamagoyaki Pan. I have purchased the e-book via paypal, how will I receive it? Hi Louise! Thank you for purchasing my ebook! I just resent the download link. Please check your email (spam folder). Thank you!! I purchase the cookbook but how can I log in? Hi, My nephew went to Japan a few years ago amd still gushes every time the subject is brought up. The man ate things there that he wouldn’t dream of eating at home, this still fascinates us to this day. I’m so happy I found your blog so we can get together occasionally and make some of these fascinating dishes! The thing that he mostly gushes about is the Vanilla Ice Cream, so I’d like to know what is the difference about the vanilla in Japan is as opposed to here in PA? I’ve looked on the web and I can’t find anything different. If you know of the difference in Vanilla and where I can get some I would greatly appreciate it. Even if its just the type of bean or alcohol used, I’ve made my own vanilla so I’m open to making the vanilla for him, I hope that you know the secret, it will make me and my nephew very happy. Hi Melissa! 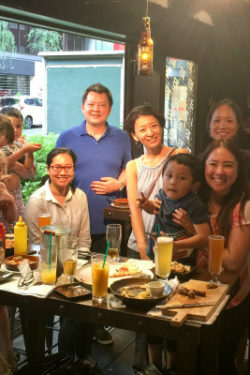 I am so happy to hear your nephew enjoyed his trip to Japan! I don’t want to disappoint you, but the difference is probably the milk. Milk and cream (dairy) tastes different in Japan. We use vanilla (not from Japan, I think) and well, sugar is slightly different, but I don’t think that’s the reason… the dairy is the most important ingredient! We also have lactose ice cream (which I don’t see in the U.S.). What brand did he enjoy? Hello, if I buy the ebook from my iPad, will I be able to download it also on my iPhone? hello i want to buy the cookbook, not the ebook. do you still sell them? This cookbook looks lovely.! I am only recent to your website. I enjoyed reading your blog. You write very well and provide very useful information on Japan and Japanese food. Thank you for sharing your recipes in Just One Cookbook. Today is my first time reading about you. I did not receive an activation message in my mailbox or in my Junk mail. I cannot seem to get your system to allow me to sign up again for you email updates. your website doesn’t seem to allow payment with anything other than PayPal. Hi Eric! When you click “Checkout with Paypal” button, there is an option for you to pay with a debit, credit card, or paypal credit. 🙂 Thank you for your interest in purchasing my eBook. If I have Android, is there one for that plz? Congrats on the eBook! I’ve made a few recipes from your blog and haven’t hit a dud yet, at least not one that wasn’t my own doing. Hi, I just bought your E just one cookbook. I started doing it on my computer but actually wanted it on my tablet and I don’t know how to transfer that over. That would be so much easier for me. I love your recipes and hope that I will be able to get it in that format. Can you please let me know when I can do? I think your recipes are just terrific. Hi Louise! Thank you so much for purchasing my eBook! You can open your email on your tablet to download directly there. Which tablet are you using? I’m going to send you a download link again. You can open the email on your tablet to download. 🙂 Thank you for your kind words! I love love your recipes!! I am a senior and enjoy your site..however I do not have a creditczrd & would like an address I can order the cookbook..
Keep the yummy recipes coming .???? ???? ???? I would like to share that after completing the fourth ticket, I decided to buy the book because my husband and I love this page and we always cook from your recipes. So we want to support you and keep the love book coming! Hi Estrella! I’ve re-sent the download link to your account you purchased my eBook. Please check your spam folder if you don’t see any email from e-junkie. It should contain the download link. If not please email me at hello @justonecookbook.com (no space). Thank you! 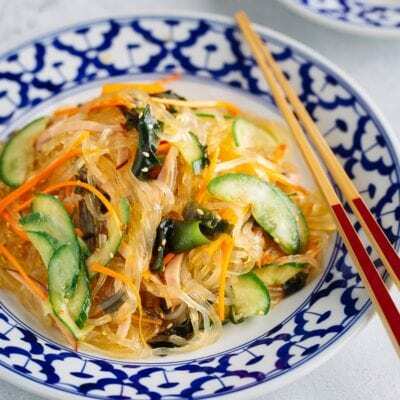 where do I find the actual recipes for 15 Japanese salads? all I see is photo. I’m buying the cookbook because I have accessed your website for the past year and having lived in Tokyo for three years once upon a time, have found your recipes to be the closest thing to what I enjoyed while living there! Love your recipes and your instructions! Thank you! I wanted to buy your book to support you! Hi Marla! Thank you SO MUCH for your kind words and support. This month I’m donating 100% of my proceeds to Samaritan’s Purse Hurricane Harvey Relief. I really appreciate your kind gesture and I hope you enjoy the ebook. 🙂 I hope you had wonderful 3 years living in Tokyo! With my PC, Adobe Acrobat Reader cannot be updated. Is it very difficult for you to make you next cookbook available also as an i-Book (Mac)? Hi Christina! Yes, you can read my eBook on your mac (iphone, iPad), just download to your device in iBooks. Open the pdf in Safari browser, and choose to use app to view my eBook. It’s 20 mbs so it takes time to transfer. Hope that helps! I have paid for my e book on PayPal and the download did not work. Can you send me a link so I can receive the download? I did pay the 9$ and do not have it! I paid for your cook book, but I do not know where to download the PDF file. that come around I hoped to have the book for reference for them to cook from. Hi Billy! I apologize for my late response – I’ve been traveling and haven’t been checking my email regularly. I am so sorry for your loss. 🙁 Hope I can be any help to revive Misue-san’s recipes in your family. Is there any kind of list of all your recipes? I check Facebook & your e-mails but I don’t think I get all of them. Let me know please. Your Crockpot wasn’t there a certain one you recommend? Hi Miles! All my recipes can be found in “Recipes” in Navigation. Facebook is definitely not a good place to “browse” and see all the choices. You can use a filter on the right to narrow down based on the dish you’re looking for. I was wondering if you have a recipe for making takuan. I made it once and it turned out great but I combined 3 recipes. And when I tried again, it didn’t taste as good as the first time. I like the Japanese style takuan and not the other kind. Japanese use sugar. Hi Florence! I don’t have the recipe for takuan (yet). I’ll put it on my list. Thank you for your request! I just reviewed your book and I am hoping to make my own stock for shoyu ramen. I think I will try dashii first..maybe that is what I am looking for. I make my own gyoza, tonkatsu, and tempura (store mix). I lived in Tokyo for several years in my younger days and miss the noodles. I live in the desert mountains of Arizona and must travel to Phoenix to buy my ingredients. However I might try to use Amazon! Thank you for your cookbook! Hi Scott! We just came back from Utah and Arizona (visited Antelope Canyon!). I can imagine it’s not easy to get Japanese ingredients there but I’m so happy to see you still try making Japanese food!!! Ramen is originated in China, so the soup base is always chicken or pork, but Japanese mix in dashi to make ramen soup. If you only make the soup with dashi, it becomes more like soba/udon noodle soup. So I recommend adding some savory chicken/pork bone broth. 🙂 Good luck! Nami San. Did you have a recipe for Bento? I would like to make Dragon Rolls. I cannot find a description for the ingredient Tobiko. Can you please define it for me? HI Juliette! It’s Japanese word for frying fish roe. Hi Nami and family. I haven’t yet tried any of your recipes, but I feel at home here. ????. I’m curious. How many followers do you have? Hi! I love all your yummy recipes, and would really like to buy your book, but PayPal is bugging me to create an account (and insists that my email is already linked to an account, probably from a past “guest” purchase…) I really don’t want the headache to get through all that nonsense, is there another way to download the e-book? Hi Valerie! Thank you so much for your kind words! Actually, you do not need Paypal account to buy my e-Book if you use credit card payment option. You will see a botton that says “Pay with Debit or Credit Card”. I ordered the cookbook on August 13, 2018 and would like to know when I should be receiving it. Hi Cathy! Just in case… this is e-Book (not actual book) – some people didn’t notice before purchasing so I wanted to mention that first. Once you purchase it, the download link is sent automatically to the same email address (could be your Paypal account if it’s different from email address you’re using). A few readers told me they found the email in the junk mail folder. I can look up your record and will resend the download link manually. If you’re not receiving it in next 15 minutes, could you please let me know? We can use different method to send the pdf file. I apologize for the inconvenience, Cathy! I want to buy 4 copies of your cookbook but the computer won’t let me!! Very appreciated get to know your blog. I am from Hong Kong and love Japanese food. I just purchased your ebook but having trouble to download, would you please send me copy? I tried download Abode Digital Editions but still find not easy to read your book, would you please help? Below is my purchased detail. Hello! I was wondering if you had any plans to publish this book in paper form? I would love to be able to consult on the go and call me old fashioned, but it doesn’t feel the same on a kindle. I purchased your cookbook today (order # 92835026) and I can’t seem to download it to my IPad. I’ve used up 7 of 9 attempts so I’m a little worried. I purchased the cookbook on 8/26/18 but did not find it on my iPad. I used PayPal and confirmed with them that it was paid. Please let me know what I can do. Thank you so much. I was able to download the book. Now I look forward to trying some of the recipes. I appreciate the quick response. I’m trying to buy the book but for some reason Pay Pal are not accepting the payment. Can I pay directly with my Credit Card avoiding Pay Pal ? Hi Hazime! Yes, you can use your credit card to pay instead of paypal, but you will be using your credit card on paypal website (Follow “Pay with Debit or Credit Card” link and you will be checking out as a guest on Paypal website). Thank you so much for your interest in buying my eBook! I absolutely love your website. I love Japanese food and your websites is my inspiration for almost 99% of the times. So amazing you made your first cookbook! If you will ever release your ebook as a physical book I would definitely order it! I am obviously late to the party and found myself both excited and overwhelmed by all the content on this webpage. I am so happy this eCookbook exists and grateful that you filtered the most popular AND easy recipes for me! Oh and the design is so wonderful! It’s not so easy dining at Japanese restaurants with a toddler, so I’m ready to start trying to cook my own at home. Thank you, this book will make a big impact on me and improve my cooking! I like your recipes. It is really works. I would like to purchase the hard copy. May I know where I can get it? I really enjoy Japanese food. Plan to source out a Japanese store, probably in Vancouver BC. Meanwhile I will continue to watch your fascinating presentations. Hi Pamelah! Thank you so much for your kind words and I’m happy to hear you enjoy Japanese food. 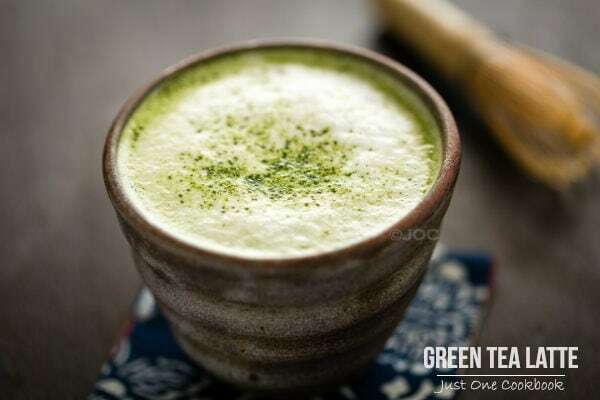 Have you checked this list of Japanese grocery stores around your neighborhood? I’ve bought your e-book a while ago I really appreciate it, it’s useful and beautiful at the same time, it’s a pleasure to read it! But, I can’t do that without your permission. So, am I allowed to print it for my personal use? And what about a copy for my sister-in-law? If only the second copy is a problem, can I buy another copy online to compensate for the second print? Feel free to answer as you’d like! I can only imagine the amount of work you put into this book, so I want to be fair to you. Hi Nami! That’s great, thanks for your attention!